For testing and rating requirements of capacities, energy efficiencies (power input per ton, EER), water pressure drop, IPLV (integrated part load value) and NPLV (non-standard part load value) for water chilling packages using the vapor compression cycle. The standard applies to chilling packages including one or more hermetic or open drive compressors, equipped with either water-cooled, air-cooled, evaporative-cooled condensers or supplied without a condenser. Consist of numerous stand alone equipment packages integrated together at customer facility. 300T Base System (10:1 Turndown) includes three-3 100 ton air handling unit modules, each with integrated refrigeration and fluid supply modules that will utilize the unit under tests (UUT) cooling capability. The refrigeration system includes screw compressor packages that supply a flat plate heat exchange in the fluid loop for each AHU. 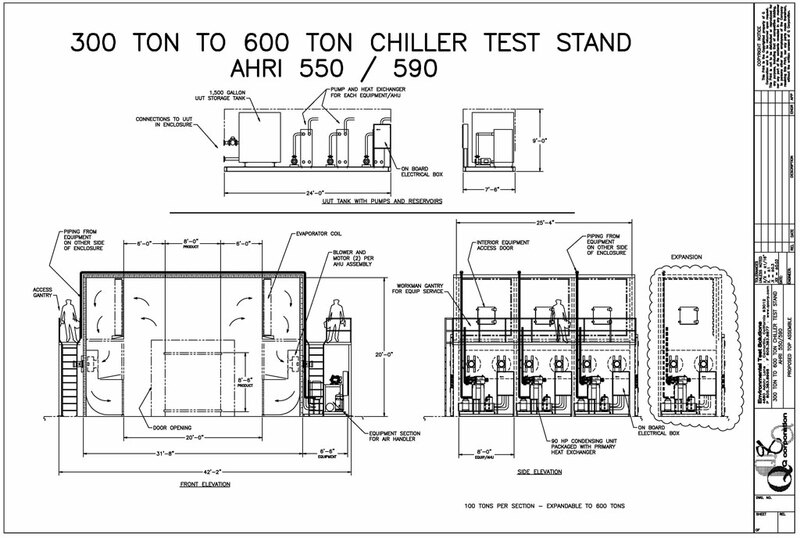 This design allows for integration of supplemental AHU modules, capable of adding incremental 100T capacity. The design also enables each module to be built and shipped at Q’s manufacturing site with subassembly only required in the field. Each module is designed to appropriately fit on a truck transport for cross country delivery. Controls and data acquisition for the system will be achieved through an PLC with industry approved DAS rack. A computer performing LabVIEWTM software will be provided for operator interface. 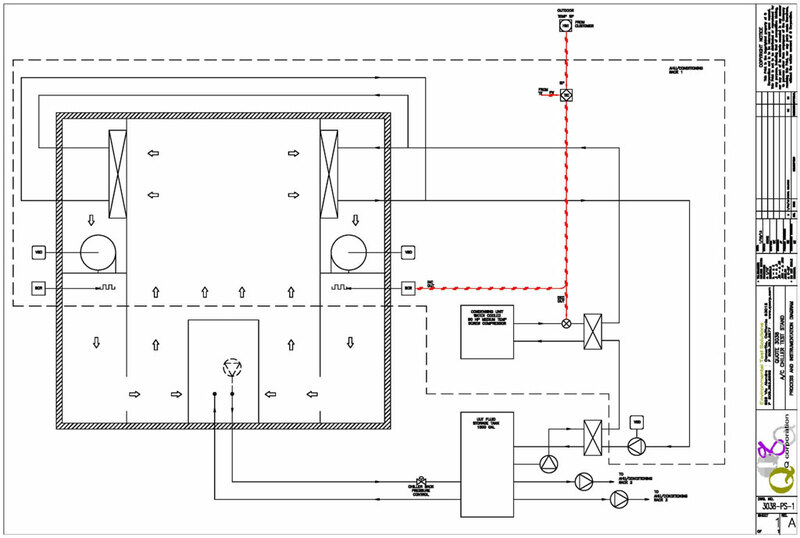 The system provided by Q will only provide transducers and hardware for system controls and core calculations. Real time display of measured and calculated variables, including table and graph format.